In this 1910 beach house, the homeowners removed some dated teal tile around the fireplace, only to discover some beautifully aged brick underneath it. Rather than cover it up again, they decided the patina fit the home’s character and left it as is. 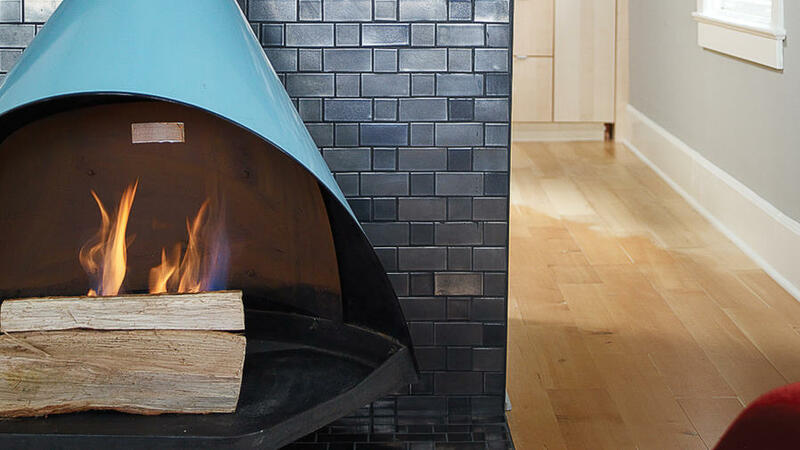 The dark ceramic tiles, by Heath Ceramics, create a perfect backdrop to a showpiece freestanding fireplace. 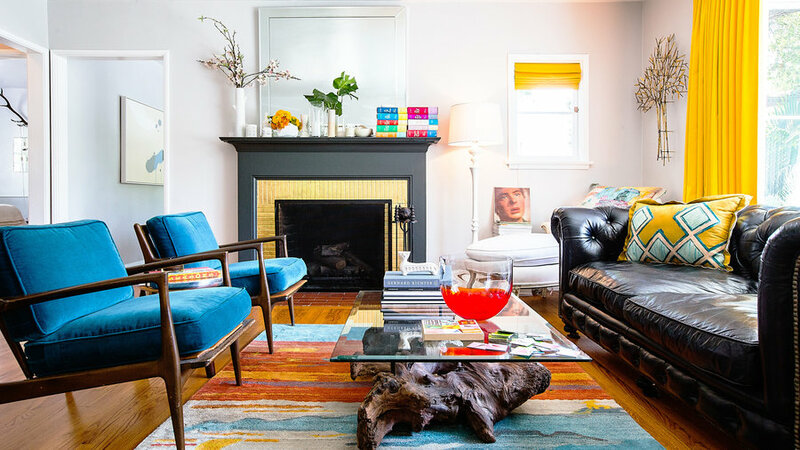 The turquoise pops in an otherwise subdued, neutral living room, and serves as a focal point even when it’s off. 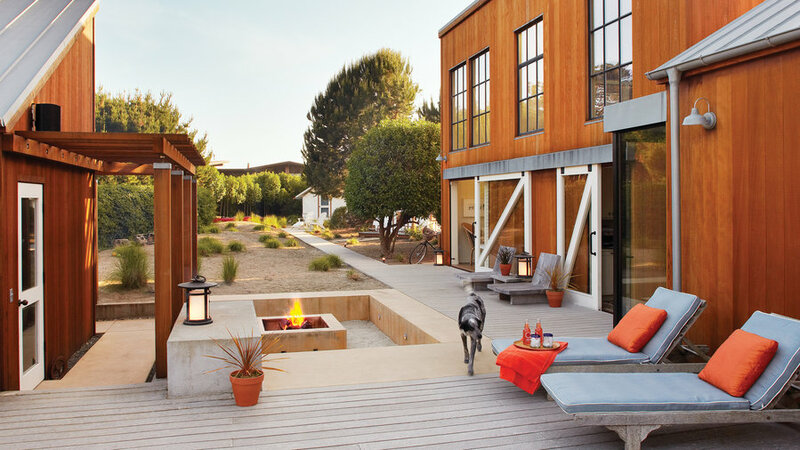 The modern concrete fireplace serves as a focal point, but by being sunken, the seating area around it feels like a distinct “room” on the spacious deck. 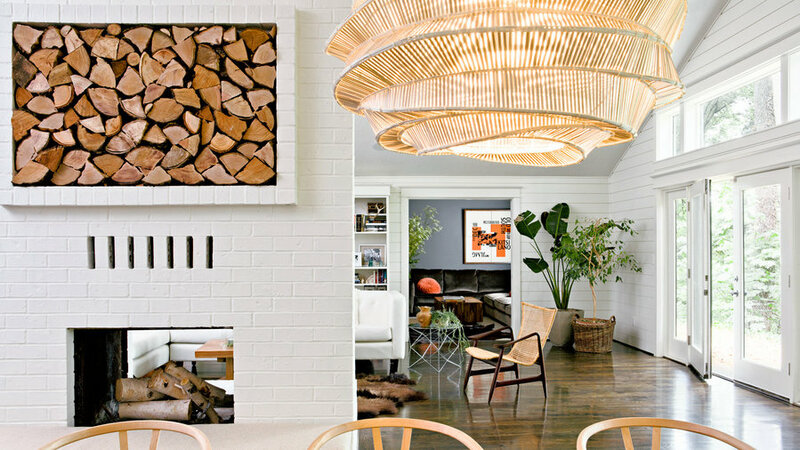 It’s one of designers’ favorite tricks for making a ho-hum fireplace look modern: Paint it white. Be sure to use masonry primer and at least two coats of water-based interior paint. (And don’t paint the inside of the fireplace!) White Opulence OC-69 by Benjamin Moore. 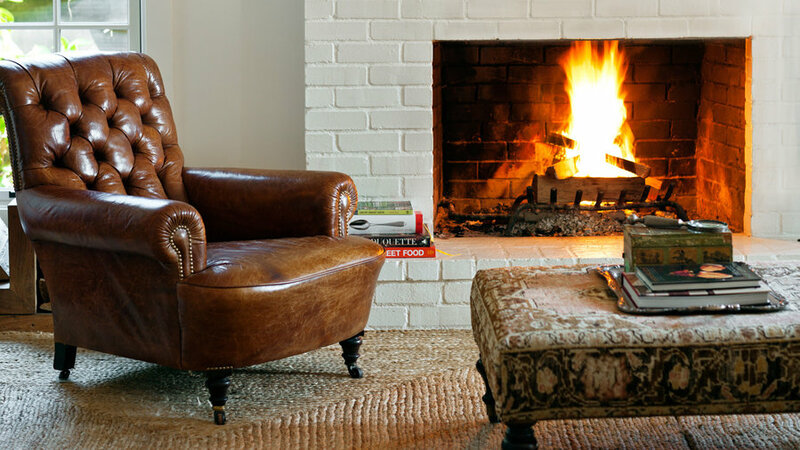 A non-functional fireplace allows you to make unconventional decorating choices. Here, the homeowners turned their simple fireplace into a dramatic accent wall by applying a dark patterned wallpaper. Wallpaper shown: Graham & Brown's Midsummer: Black (56503). This rustic-looking outdoor fireplace perfectly suits its slightly untamed backyard surroundings—and looks great against the bougainvillea. 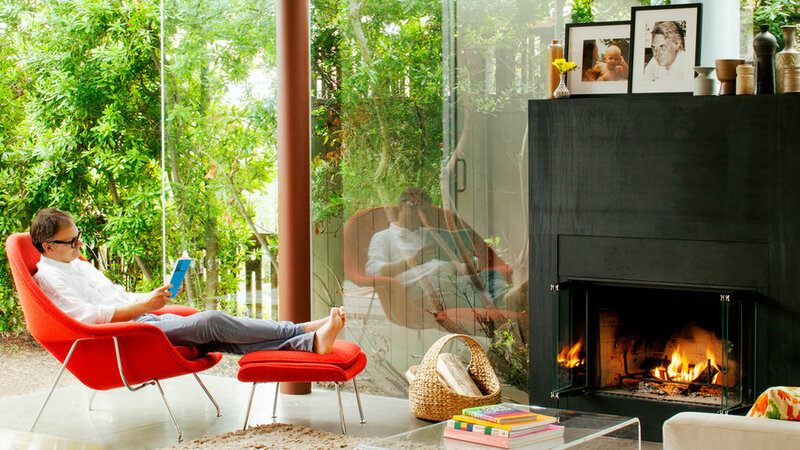 It makes a cozy spot for drinks and conversation. 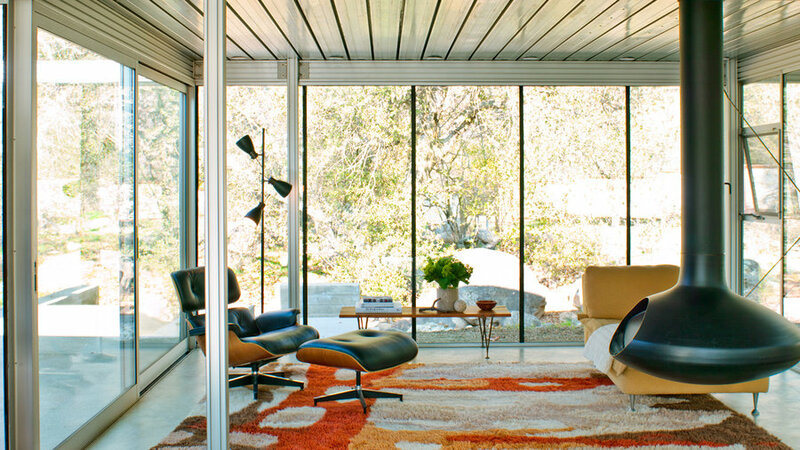 The typical fireplace is a space hog, but the Fireorb—as seen in this mid-century modern living room—frees up both wall and floor space, so the room looks spacious and airy. 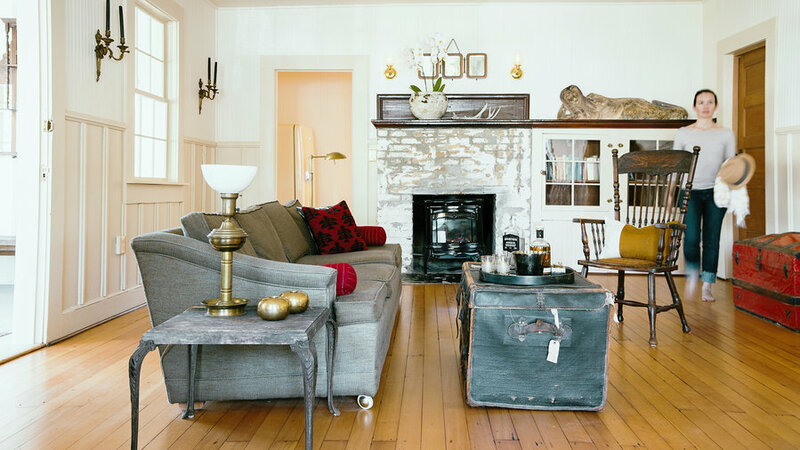 It’s easy to fill the mantel with tchotchkes, but a careful edit will go a long way in a room. The mix of vintage photographs and paintings ties into this living room’s classic library look. The white painted brick keeps the room looking fresh, not musty. 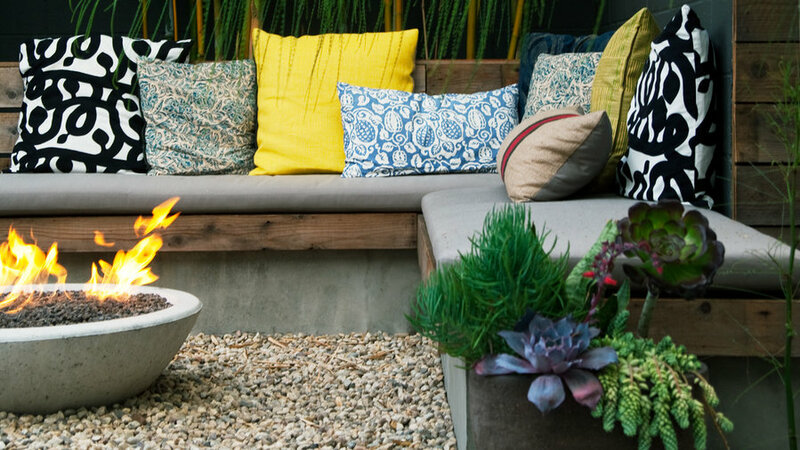 You don’t need a big yard—or budget—to get a backyard glow. 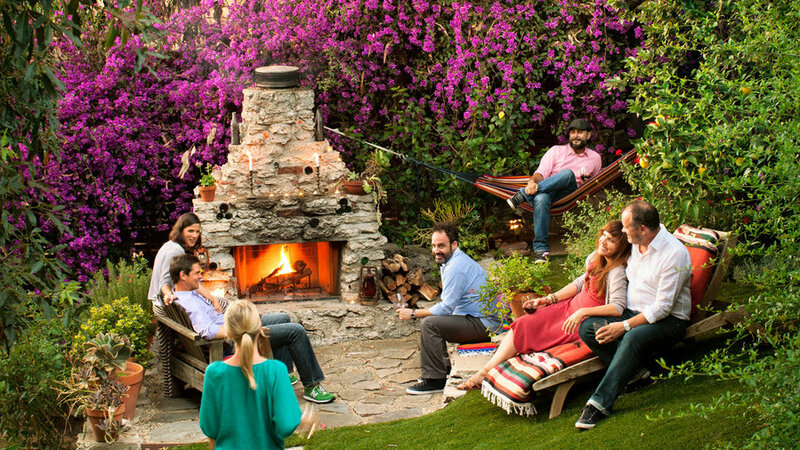 This compact wok-style gas firepit, in a small Venice yard, provides enough warmth for the seating area around it. In a light, airy space, like this glass-walled living room, a dark fireplace can provide much-needed visual grounding. This one also keeps the otherwise minimalist space from feeling cold.